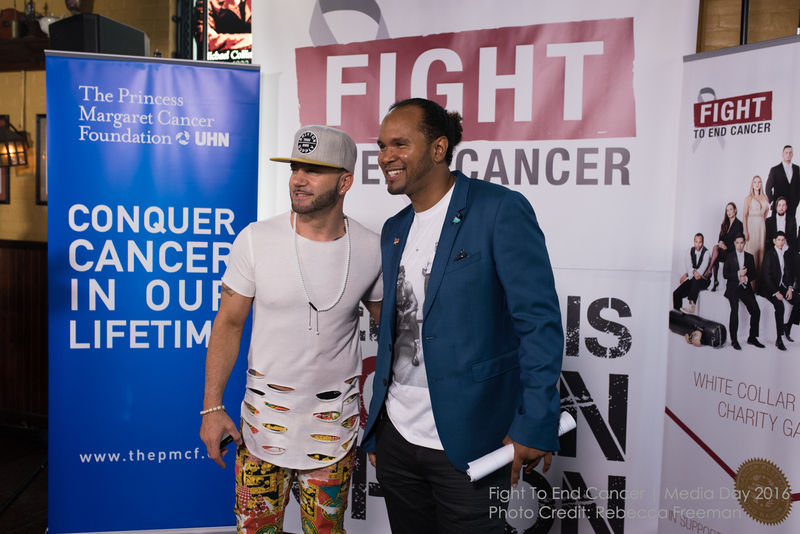 The Fight To End Cancer Media Day & Weigh-ins has become a much anticipated event of its own. The Official Media Day is for our supporters to help build up excitement, just days before our fighters step into the ring at our annual Charity Boxing Gala. With each passing year, the amount of support shown to our fighters has continuously grown and this past Thursday, May 26th, was easily our biggest weigh-ins ceremony ever! The weigh-ins event was hosted by our friends at the Brazen Head Irish Pub in Liberty Village, Toronto. Giving us full access to their entire second level space (including two patios), the rave reviews kept pouring in from our guests on how impressed they were by the “sweet new digs”. 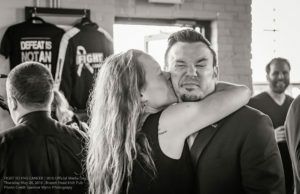 The staff were a true pleasure to work with and made everyone feel welcome (shout out to Adrian Murphy – a bartender who donated all of his tips for the night, back to support Main Event Fighter Craig Lauzon!). 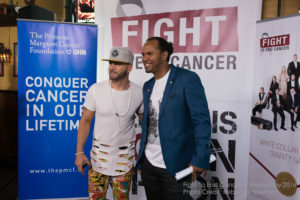 Adding further emphasis to the awesome atmosphere was having the folks from Z103.5 radio station (Fight To End Cancer‘s Official Media Partner) on-site, blasting cool tunes, out front, to welcome guests upon arrival. With a jam-packed house of our top-tier sponsors, family, friends, local media personalities and maybe even a celebrity, or two (wait, was that Karl Wolf? )…our 2016 Fight Team put on a fantastic show for the audience and truly were the stars of the evening. Following some powerful speeches, including but not limited to: Jim Mosher (Landscape Plus Ltd.), Brendhan Malone (Eagle Professional Resources & 2014 FTEC Fighter) and Paige Cunningham (Princess Margaret Cancer Foundation & 2015 FTEC Fighter), each of the five bouts for FTEC2016 took their turn up to the stage to have their official weigh-ins done, with plenty of opportunity to “face-off” for one last stare down & “smack talk” session (all in good fun). 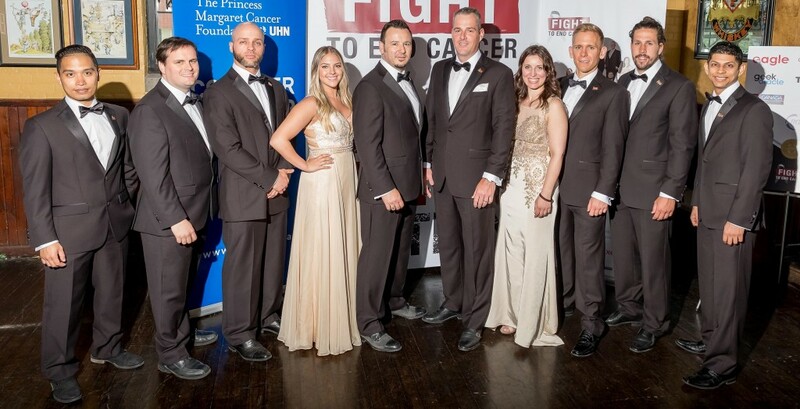 Our 2016 Fight Team will be stepping into the ring this Saturday, June 4, 2016 for our 5th Annual Fight To End Cancer Charity Gala, benefiting the Princess Margaret Cancer Foundation. Please join us in congratulating them on all of the time, energy, fundraising and hard work they have put into training at the Kingsway Boxing Club. This brave group consisting of eight men and two women will be celebrated this Saturday night for all they have done for this cause and for what they still have yet to accomplish in the ring. As excited as we are to see these matches occur, there is one thing that is already certain; no matter whose hand is raised in victory inside of the ring…they are all winners in the Fight To End Cancer. Buy Tickets To The Live Broadcast Party at Stratosphere – Only 45 Tickets Remaining!